If you are considering to come and stay, please read our Guest Guidelines thoroughly before contacting the Guest Coordinator to book a visit. 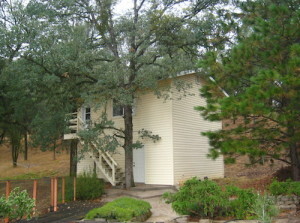 There is space for up to three female guests in a separate building with a dormitory. A sense of privacy is created with the use of room dividers. 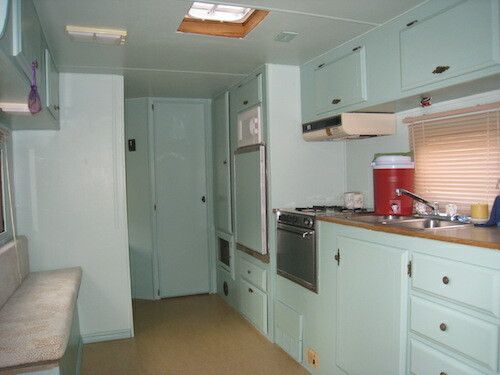 Our comfortable trailer is a private space, available for individual use for men or transgender people. The minimum duration for staying at the vihara is one week. As we have a limited number of spots for overnight guests, please do not make a reservation unless you are sure that you can come. This is considerate of others who are also interested in coming to stay. We ask guests to arrive between Wednesdays and Sundays, from 8 am to 6 pm. To arrange a stay, please contact us at <guestnun@gmail.com>. 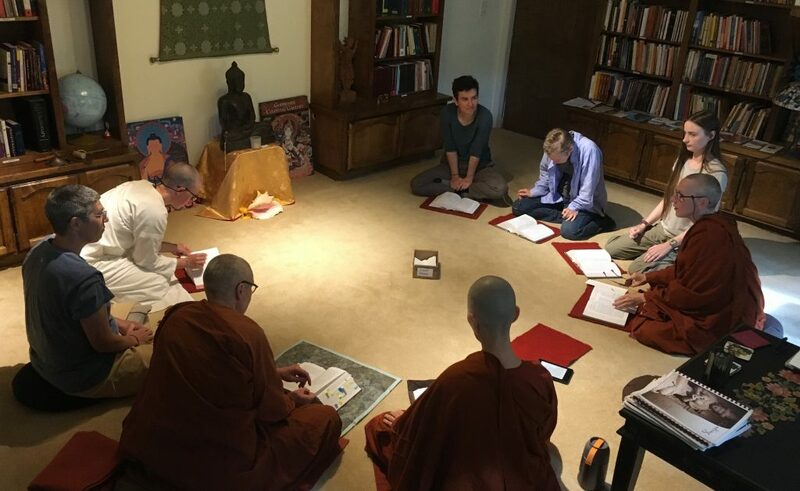 Overnight guests are asked to keep the Eight Precepts while staying at the vihara. Please visit our monastic etiquette page for helpful guidance on spending time with monastics. There is cell phone reception for some providers only at Aloka Vihara Forest Monastery. The vihara does have a landline that is available to visitors for necessary calls. Internet access is limited. There is poison oak on the vihara property. Be sure to wear long pants and a long-sleeved shirt when walking outdoors and/or avoid contact with poison oak plants. We are happy to share how to best protect yourself. Some deer ticks in the Sierra Foothills carry Lyme disease, so please be mindful when walking outdoors. Daily body checks are the best protection by far. We are happy to share how to best protect yourself. There are also snakes around the vihara, some of which are poisonous. When walking on the roads near the vihara, stay away from the grassy edges, as snakes have been seen there, very rarely. These powerful animals live in the forests of California, please be aware of the possibility to meeting them, especially at dusk and dawn. We have not seen them yet!